The Breitling Watch Source Forums • View topic - I think I was sold a fake! I think I was sold a fake! Post subject: I think I was sold a fake! 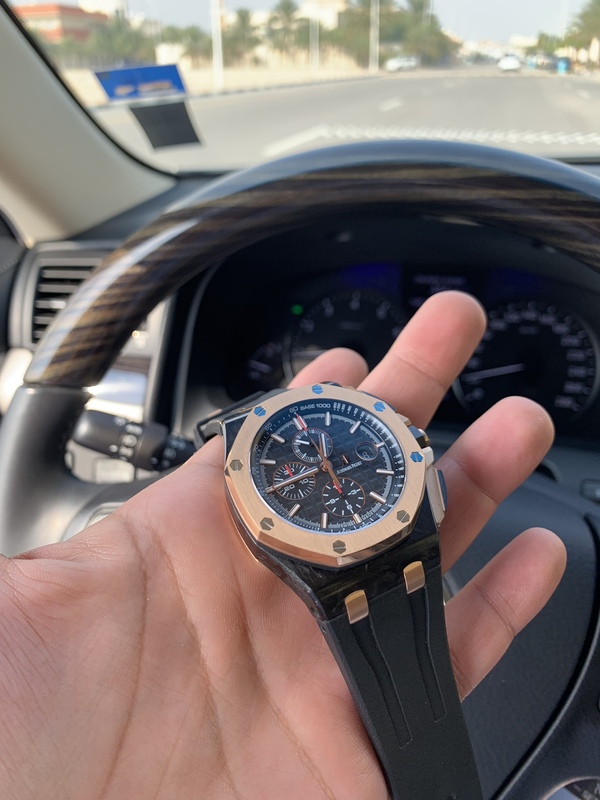 I picked up my AP QEII through a watch speaking store just an hour ago alongside other rare pickups. This place has served me well in the past and has even bought some pieces through me. I am not running into a definitive conclusion just yet, but my first impression on picking up the watch was off. I’m even though it’s forged carbon it feels way lighter than I remember from my experience with another specimen about six months ago. The finishing seems subpar l, the RG too coppery, and the subdial rings too shiny in a cheap way. Box and papers seem genuine. It might be just me, and the model does have a different finish and layout than the standard 44 ROO which is what I have substantial experience with. Post subject: Re: I think I was sold a fake! That one seems to be identical to the one I have, shiny subdials and all. I am certain at this point it’s a fake. And will be demanding my money back. Wow, that would be hard to believe if he actually sold you a fake. I had spent the night doing some research, it seems these fakes are getting better and better! 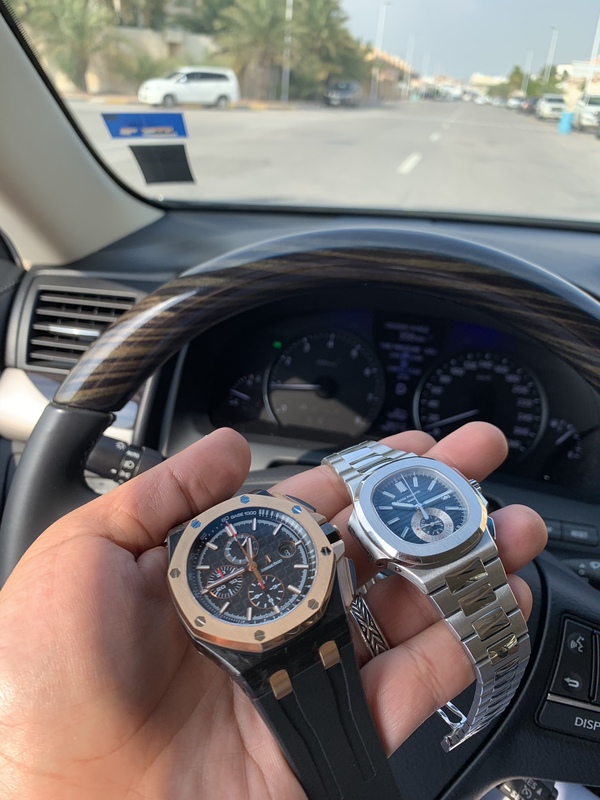 It will not fool anyone who has experience with high end watches up close, but on the wrist from a distance it is very believable, the amount of work put into these is substantial, and I worry about where this is headed! I was in a rush and did not take my time at the store, a loupe to the movement when I got home and all doubts where settled. I prepared a detailed email over night and called as soon as the store opened, the owner seemed taken back and has promised me a fulll refund and to investigate what was going on with his source. I doubt he will knowingly sel me a fake, I am fairly well known in the local watch collecting community and he wouldnt risk his reputation. As long as I get my money back I will accept his explanation that he was duped. This thread is a warning though, if you are not familiar with a brand and a specific model, do your homework! Even a trsuted source could have been infected! Most forums and Facebook groups will not entertain discussion on replicas, citing that it will just give ideas to the fakers; however, as you have found, they are doing very well despite these restrictions. My view is that we should discuss them openly and point out all the little flaws and tells between the replica and the real, in an attempt to educate and show collectors what they should look for. Thankfully, I have developed my own approach and (touch wood), it has kept me safe so far. Wow, only just read this! Unbelievable situation! It's insane how "good" some of the replicas have become nowadays, superficially at least. I'm actually a member of a replica forum myself - I never post there - I just look, listen and learn. It's amazing how far they've come from the frankly hilarious fakes we used to see even 10 years ago. 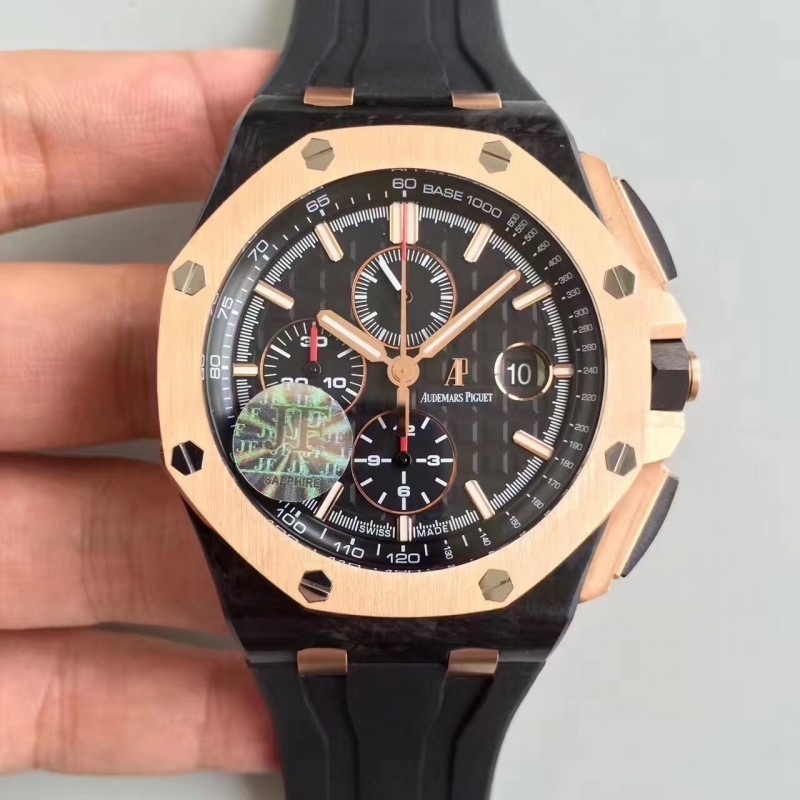 If your AP definitely is a fake, then I have no doubts your watch guy will step up and see you straight. A serious cautionary tale though, and I really hope it all works out for you, Altair. Full refund issued. Thank God, that was nerve racking!! He seemed genuinely surprised himself, it is absolutely shocking how his supply chain got infected, and asked that I keep it to myself. He even promised to make it up to me in future acquisitions. I cants tress enough the importance of taking precautions and not making any assumptions when buying from anyone but an AD. Again, the watch would not fool someone with experience with fine watches and a passion for the details, but it certainly would on someone else's wrist. I don't think I would have identified it. It certainly does look attractive externally, I cant wrap my head around how they got the forged carbon look so perfectly, it cant possibly e real forged carbon, can it? ALLOT of work whent into this, if it was a closed case back model and they got the subdial color right, I would have been none to the wiser, I am sure the less than optimal external case finish would have flewn by the radar. Very scary! Last edited by Altair on Sun Dec 16, 2018 11:38 pm, edited 1 time in total. Super happy you got your money back. I cant wrap my head around how they got the forged carbon look so perfectly, it cant possibly e real forged carbon, can it? ALLOT of work whent into this, if it was a closed case back model and they got the subdial color right, I would have been none to the wise, I am sure the less than optimal external case finish would have flewn by the radar. Very scary! Most of the world’s goods are made in China. It is not surprising this is where the expertise lies. that is terrifying, was all the paperwork correct as well? Nice work and a cautionary tale for all. Incredible that it's now happening to AD's. Happines is Good Health and a Bad Memory. Wow, you'd think the dealer would be the one who is "experienced with fine watches and attentive to details."